“The construction market’s demands for productivity, profitability and automation are increasing, and by combining tiltrotator and excavator systems in an automatic tilt function, we will see not only a reaction to market requirements but also increased operator comfort,” said Fredrik Eklind, Trimble’s product manager, machine control, civil engineering & construction. Engcon now offers a feature that automatically keeps an excavator bucket at the correct angle. 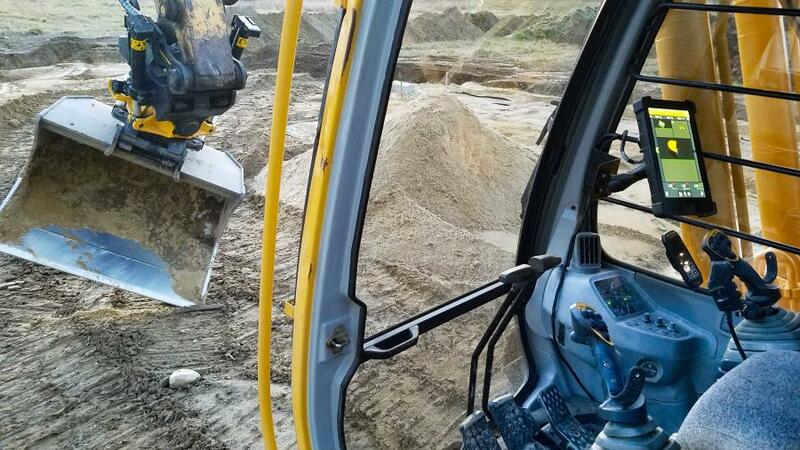 Developed with Trimble, the digger system manufacturer, Engcon's new offering means the excavator operator need focus only on maintaining the bucket at the correct height and rotation. This increases the operator's efficiency and, ultimately, profitability. The automatic tilt function is expected to be ready for delivery in the United States and Canada in mid-November. "The construction market's demands for productivity, profitability and automation are increasing, and by combining tiltrotator and excavator systems in an automatic tilt function, we will see not only a reaction to market requirements but also increased operator comfort," said Fredrik Eklind, Trimble's product manager, machine control, civil engineering & construction. Engcon and Trimble have worked together for years integrating products and features to the benefit of both companies' customers. "The collaboration with Engcon has gone well and the automatic tilt function is a successful project," said Eklind. Trimble Digging System: Earthworks with GS5x0 sensors and software version v1.7.0. or newer only. Correct licenses required. Engcon tiltrotators: All tilt models from EC209 and up with ePS rotation sensor. Another feature benefiting the customer by the collaboration of Engcon and Trimble is that Engcon's DC2 control system is available for download directly in Trimble's Android display via Trimble App Central. This means that it will be possible to obtain remote support directly through the large Trimble display and the digging system's internet connection. With this, DC2 is no longer reliant on the type of phone the customer has. "This is a big step towards becoming platform-independent, and Trimble has been very responsive to the development work," said Peter Huczkowsky, who is responsible for the development of Engcon's control systems, and Engcon's project manager on this undertaking. In recent years, customers have been able to use Engcon's Positioning System (ePS) together with Trimble's excavation system Earthwork. This has meant that the driver is guided while the exact position of the bucket is shown in the screen located in the excavator cabin.